On 24 October we were invited by Southbank Centre to deliver a discussion session about forced migration and its effects on young people, as part of the WHY? 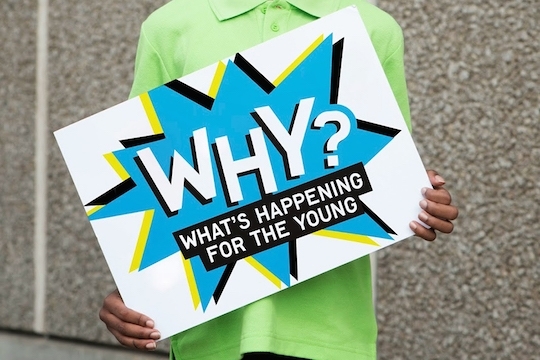 What’s Happening for the Young festival at Royal Festival Hall. The session for young people ran parallel to a session for adults, which was led by Maurice Wren, CEO of the Refugee Council. At the end, the adult and youth groups came together to share learnings.